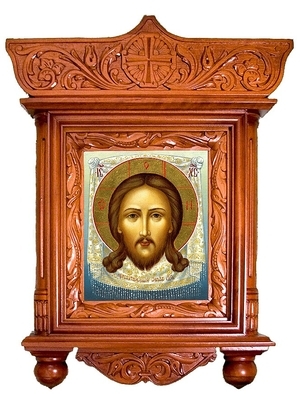 Icon cases: Bud carved icon case with roof - Istok Church Supplies Corp.
Beautiful traditional wooden carved church icon case (kiot). Solid wood, carving, polishing, lacquering. 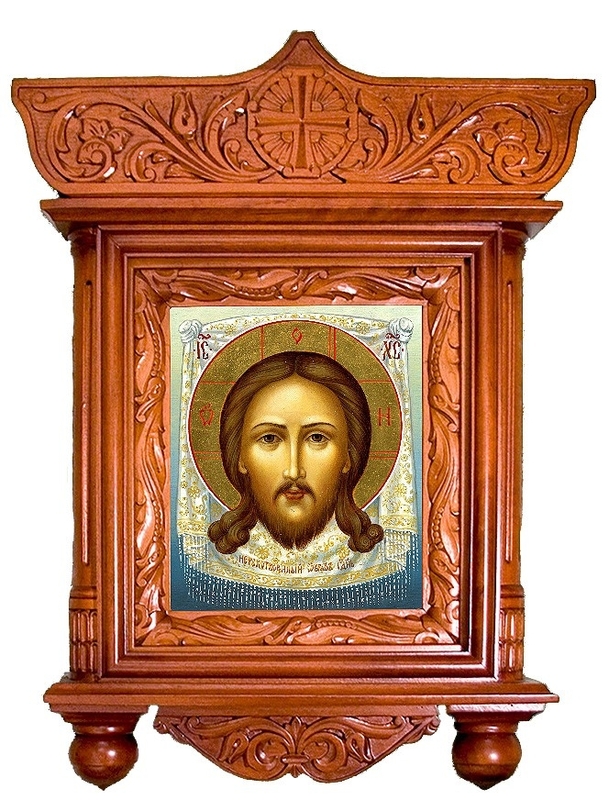 Size: 14.6''x19.3''x2.6'' (37x49x6.5 cm). For Analogion size icons.